Tottenham Hotspur midfielder Mousa Dembele was full of praise for defender Jan Vertonghen following their clash with Manchester City on Saturday, labelling him an "unbelievable player" despite the ​3-1 home defeat. Vertonghen has been at the club since 2012 and has been an integral member of the Spurs team in the past few seasons, racking up over 150 appearances in the process. ​The Lilywhites have only suffered six defeats in the league this season, and Vertonghen (as well as Dembele) have been crucial parts of the team's progress over the last few years. The two will no doubt continue to be important in the Spurs side as they look to balance the Premier League with the Champions League next season at their new ground. The Belgian has featured in 28 of Spurs' 33 league games this season and has helped Mauricio Pochettino's side keep 14 clean sheets in the league. Speaking to the official club website on the topic of Vertonghen's form, fellow Belgian international Dembele stated: "Everyone can recognise that all season, not only now, he's been great for us. That's how we know him. He's an unbelievable player." On the game itself, Dembele added: "We didn't start so well. Towards the end of the first half we started to play well and we worked hard but at the moment we're all disappointed. We wanted to win. "In the last 20 minutes of the first half we started showing ambition, but it was a bit too late. We had to start much sharper. We have to focus on the next games now, important games ahead this week. We're disappointed but we can't be disappointed for too long because we have to move on." 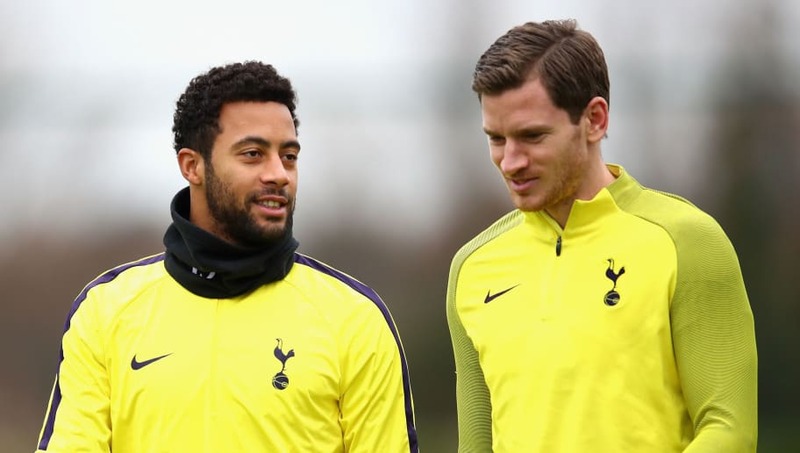 Dembele and Vertonghen will next face up to Brighton on Tuesday night, before a key FA Cup semi-final with Manchester United at the weekend.